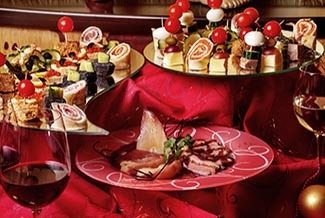 Mittal Caterers is a Respected Name in Catering since 1983 providing Best In Class Catering Services in Ajmer and surrounding areas. Be it a Marriage Function or a Birthday Party or any Corporate Event, We can handle them all in Style, and with utmost Commitment. We are famous for preparing "shudh Vegetarian Food" in pure desi ghee. We are market leaders in a variety of services. 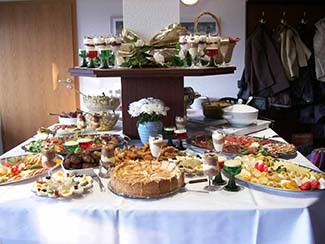 Mittal Caterers is a name famous for providing Best Outdoor Catering Services in town. 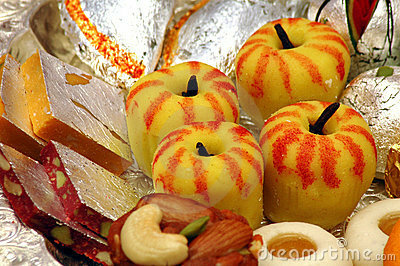 Whether it is a marriage function or a birthday party or any corporate event, every thing is treated in a special way. We operate a very famous tiffin center, serving lip smacking dishes in the heart of Ajmer. Mittal Sweets & Namkeens is now a well known brand name in ajmer and nearby ares of ajmer recognized by its Sweets, Namkeens, Snacks, Gift Packs and Multi Cuisine Food facility. 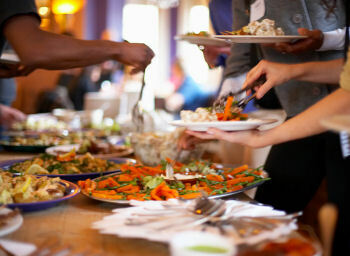 We provide catering services for Breakfast, Lunch, Evening Snacks, Dinner with Tea, Coffee, Soft Drinks or any Starter. Food On Call We are just a call away to deliver you delicious "Shudh Vegetarian Food" in pure desi ghee. We also have direct contacts with various suppliers from Catering to Artistes to Jewelers to Cloths to every other requirement that usually arises in these functions. We negotiate with different suppliers according to your budget size and thus can clinch the best bargains for you in the process. As planners, we also reduce your running around by as much as 50 per cent and let you focus on the main event easily. And since we are always up to date with the latest decor style and catering fads, we can really help you in making this event a unique and memorable one. So, Give us a chance to serve you & we ensure that the memories of your function shall cherish in the minds of your guests for a long-long time.